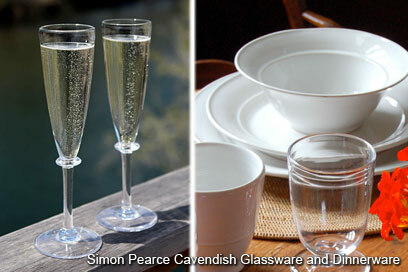 Simon Pearce Glassware and Dinnerware Are Simply BeautifulHand crafted in Vermont by master glass blowers and potters, Simon Pearce dinnerware, stemware, decorative vases and bowls are wonderful gift ideas. Classic designs that are intended for a lifetime of enjoyment. You only have a few more days to save on Barlow Tyrie outdoor furniture. Since 1920, Barlow Tyrie teak, stainless steel, woven and aluminum furniture has a reputation for superior workmanship and design.